Financial Advice: Hourly Fees, Asset-Based Fees, or Annual Fee? I usually recommend that investors avoid commission-paid financial advisors. The conflict of interests created by commissions is too great to overlook. Advisors who use various combinations of the above. So how should you choose between them? Asset-based fees: Advisors who charge as a percentage of assets have an interest in keeping as many assets under their care as possible, even when that’s not in your interests (such as when you would be better served by liquidating some assets and paying down debt). Also, there’s a conflict of interests to the extent that the advisor’s tolerance for income volatility is different from your tolerance for portfolio volatility. Hourly fees and fee-for-service: Hourly or fee-for-service advisors have an incentive to “over plan,” that is, to sell you services that you don’t really need. Flat annual fees: Advisors who charge flat annual fees have an incentive to “under plan,” that is, to do the minimum amount of work possible to keep you around. Personally, I find the conflicts of interests caused by asset-based fees to be the most concerning, though I’d argue that each of the conflicts mentioned above is far less significant than those involved with commission-paid advisors. Which One Costs the Least? An advisor might try to convince you that a fee equal to, say, 1% of your assets is a good value because he (or she) will be able to help you improve your returns by more than 1% per year. Such advisors may be correct about their ability to improve returns by helping you avoid mistakes, minimize taxes, and so on. But that does not necessarily mean that the fee is justified. If you’re able to find a low-cost advisor, one whose advice is every bit as good and whose fee would only total, say, 0.5% of your portfolio, wouldn’t that be preferable to using the advisor with the 1% fee? Its replacement cost–how much you would have to pay another provider for a similar service. In other words, be sure to shop around! High-risk, high-yield lending isn’t new. Investors have had access to such investments for the last few decades. They’re called junk bonds. In fact, it may be illuminating to compare Lending Club notes to just such an investment. Let’s use iShares High Yield Corporate Bond ETF (HYG). So, for example, if a note had an 8% yield and every payment was received on time, you’d earn a 7% rate of return. The annual expense ratio for iShares High Yield Corporate Bond ETF is 0.50%, half that of Lending Club notes. Advantage: iShares High Yield Corporate Bond ETF. With the ETF, you’re immediately diversified among several different borrowers. With Lending Club notes, you have to do it manually. In other words, diversifying a portfolio of Lending Club notes requires a) more time, and b) more money than diversifying a portfolio of high-yield bonds. Lending Club notes can be sold on their Note Trading Platform, operated by FOLIOfn. When selling Lending Club notes, you name an asking price and hope to get it. When selling an ETF, you have that same name-your-price-and-hope-to-get-it option, or you can simply place a market sell order and know that your shares will be sold almost immediately and that you’ll get a price very close to the price of the last trade. Advantage: I can’t be absolutely certain because I don’t have any data about sales of Lending Club notes, but I think we can safely say that it’s either a tie or a win for the ETF. FOLIOfn charges a fee equal to 1% of the price of the sale of Lending Club notes. ETFs can be traded at your brokerage firm of choice. The commission will depend upon that brokerage firm’s commission structure. Advantage: It depends upon your brokerage firm and upon how much you’re selling. For example, if you use TradeKing ($4.95 commission/trade), and you’re liquidating less than $495 worth of the investment, Lending Club notes win. If you’re liquidating more than $495, iShares High Yield Corporate Bond ETF wins. In short: In addition to the borrower-specific risk, you’re taking on company-specific risk. Specifically, the risk of a start-up company that has yet to show a profit. Unfortunately, when Lending Club provides default data, they tend to include every loan that has been issued for 45 days or more. As you can imagine, most loans haven’t defaulted by just 15 days after the due date of the first payment. In order to make a meaningful comparison, we’d need data on loans that have gone full-term. Of loans more than 30 months old, 11.63% of loaned principle is either in default or has been completely charged off. Of loans between 27 and 30 months old, 15.71% of loaned principle is either in default or has been completely charged off. Of loans between 24 and 37 months old, 18.49% of loaned principle is either in default or has been completely charged off. The default rates for Lending Club’s highest-rated notes are much lower. Advantage: Neither. There still isn’t enough data to say either way. According to Morningstar, the average effective duration of bonds included in iShares High Yield Corporate Bond ETF is 4.25 years. They don’t list the average maturity, but by definition it must be longer than 4.25 years. The maturity of every Lending Club note is 3 years. Advantage: Lending Club. Due to their shorter maturity, the market value of a Lending Club note should fluctuate less dramatically than the market value of iShares High Yield Corporate Bond ETF as a result of changes in market interest rates. Unfortunately, as I mentioned above, sufficient data does not yet exist for such a comparison to be made. As it stands right now, I’d categorize Lending Club notes as short-term, high-risk debt that’s difficult to diversify and that carries somewhat higher expenses than I’d like. Entertainment/feel-good value aside, I don’t see much purpose for Lending Club notes in most portfolios. Of course, a few years from now, the data could prove me wrong. A reader recently asked me how to choose between ETFs when creating a low-cost ETF portfolio. How should you choose between them? Without a doubt, the first thing I’d check is the expense ratio. As we know, minimizing expenses improves investment results. Winner: Vanguard S&P 500 ETF, but not by much. Winner: iShares S&P 500 or SPDR S&P 500. But again, the difference here is extremely small. Which index does it track? It’s important to check that the ETF tracks an index with an allocation you desire. In the case of the US large-cap indexes in question, there’s not much of a difference. For example, the following chart shows the performance of an S&P 500 index fund as compared to the Vanguard Large-Cap Index Fund. Conclusion: The two indexes aren’t just closely related. They’re functionally the same. When looking at other asset classes, however, this becomes a more important question. For example, in the international stock category, it’s important to check whether the index being tracked includes exposure to emerging markets. After eliminating any ETFs that track indexes that don’t fit into your target allocation, I’d also suggest eliminating any ETFs tracking indexes that have particularly high turnover (because turnover leads to increased, unreported expenses). Winner: Schwab U.S. Large-Cap ETF. Again, a very small difference. In this particular case, I’d be happy investing in any of the five ETFs asked about. That said, by analyzing expense ratios, bid/ask spreads, and differences in indexes, I can see that there are several U.S. large-cap ETFs I wouldn’t want to invest in. For example, I’d stay away from iShares KLD Select Social Index with its 0.50% expense ratio and 37% annual portfolio turnover. 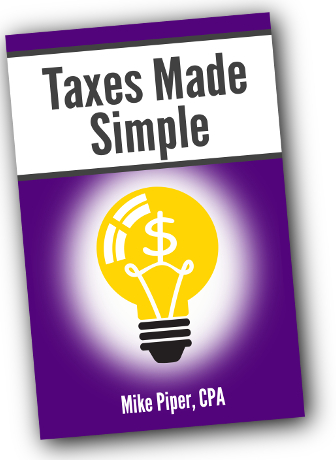 Choose tax-efficient funds for your taxable accounts. Index funds and ETFs are already rather tax-efficient due to their low portfolio turnover. But depending upon your circumstances, you may actually be able to reduce your total costs by straying away from purely passive funds in your taxable accounts. One option is to use “tax-managed” funds–funds that are specifically managed to minimize distributions of capital gains. Vanguard’s tax-managed funds are generally low-cost in terms of expense ratios. (In fact, many have lower expense ratios than the comparable index funds.) And they do appear to be tax-efficient. The drawbacks are that they have a $10,000 minimum investment, and they carry a 1% redemption fee if the fund is sold within 5 years. This redemption fee gets in the way of rebalancing and tax-loss harvesting. The “tax-cost ratio” is provided by Morningstar. The figure changes from period to period, so while it can be an indicator that one fund is more tax-efficient than another, it’s certainly not set in stone. Morningstar’s calculations assume that the investor is in the highest tax bracket. I used the 5-year tax-cost ratios. It’s not a perfect comparison because the data for the ETF is for the 5-year period ending 11/30/09, while the data for the other two funds is for the 5-year period ending 12/31/09. As you can see, the tax-managed fund does appear to be more tax-efficient. If we were to compare it to the small-cap index fund and assume that the tax-cost ratios are constant (which they aren’t), we’d see that the total costs of the tax-managed fund are 0.21% less per year than the costs of the index fund. Conclusion: If you expect to sell your holdings in the fund every 4-5 years, it’s probably a wash (because of the redemption fee). If you expect to hold for longer than 5 years, the tax-managed fund is very likely better. If you expect to sell in less than 4 years, the regular index fund is probably better. If you have to own bond funds in a taxable account, you may earn a higher after-tax return using tax-free bond funds rather than taxable bond funds. To determine whether it’s advantageous to use tax-free bonds, calculate the tax-equivalent yield of a tax-free bond fund by multiplying it by (1 – your marginal tax rate). For example, as of 12/31/09, the yield on Vanguard’s Intermediate-Term Tax-Exempt Fund was 2.94%. If you’re in the 28% tax bracket, this would be equivalent to a taxable fund yielding 4.083%–calculated as 0.0294 ÷ (1 – 0.28). Note: If your state exempts its own municipal bonds from state income tax and you have access to a low-cost bond fund that invests exclusively in tax-free bonds from within your state, be sure to add your state income tax rate to your Federal tax rate when determining your tax-equivalent yield. For example, as of 12/31/09, Vanguard’s New Jersey Long-Term Tax Exempt fund had a yield of 3.27%. If you live in New Jersey and are in the 28% Federal tax bracket and 6.37% state tax bracket (for a total tax rate of 34.37%), your tax-equivalent yield would be 4.98%–calculated as 0.0327 ÷ (1 – 0.3437). Aside from being careful with asset location decisions and tax-efficient fund selection, do you have any tips for an investor who has maxed out his/her IRA and 401(k) contributions for the year?